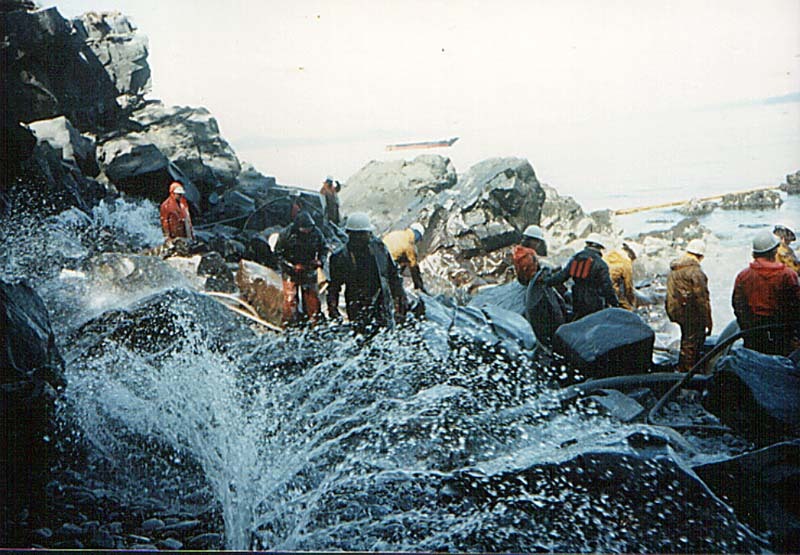 Savage moved to Alaska in 1988–just one year before the Exxon Valdez oil spill ravaged Prince William Sound. After the spill, Savage decided to take action. She was assigned to clean oil-coated rocks on the beach, but says that Exxon never provided legitimate safety training. And since Exxon never told her that breathing crude oil was toxic, she didn’t think twice about spraying hot water onto the oily rocks. When the dizziness and vomiting set in, Savage assumed it was just the flu. “We were housed in close quarters, and I could see how the flu could go around repeatedly,” she says. The “flu” continued as Savage moved into a position as general foreman on the spill’s cleanup barges. But she didn’t realize quite how much her health had deteriorated until leaving the cleanup operation. oil.” Savage went on to develop a frightening list of symptoms: cirrhosis of the liver (she doesn’t drink), rheumatoid arthritis, constant diarrhea, and respiratory problems. Oil spill cleanups are regulated as hazardous waste cleanups because oil is, in fact, hazardous to health. Breathing oil fumes is extremely harmful…Unfortunately, Exxon called the short-term symptoms, “the Valdez Crud,” and dismissed 6,722 cases of respiratory claims from cleanup workers as “colds or flu” using an exemption under OSHA’s hazardous waste cleanup reporting requirements. I know of many who have been disabled by their illnesses – or have died.